If you are self-conscious about wearing braces, lingual braces could be the solution for you. These innovative braces are so discreet, only you and your dentist will need to know you’re wearing them. This type of hidden braces are perfect for adults who want a discreet teeth straightening solution. Lingual braces work in a similar way to traditional fixed braces. They are made up of small brackets and archwires that are bonded to your teeth. Unlike traditional fixed braces, lingual braces are fixed to the back of your teeth, so they are incredibly discreet. Rumour has it, Kate Middleton opted for lingual braces before her big day, and we’ve all seen how truly stunning her smile is! Other VIPs and celebrities rumoured to be treated with inside braces include Myleene Klaas and Sadie Frost. 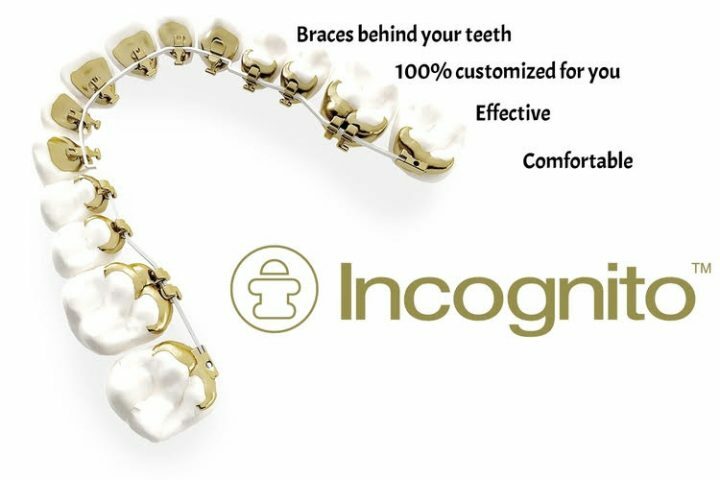 Here at Dental Solutions, we use a system of lingual braces called Incognito. In the past, lingual braces have been known to cause sore mouths and tongues in patients. However, the new Incognito system is much smoother and more comfortable. 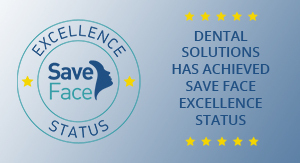 Since being implemented at the Dental Solutions surgery, we have found fewer patients having complaints of discomfort. Treatment time depends on your individual circumstances, but treatment time can take as little as 6 months. 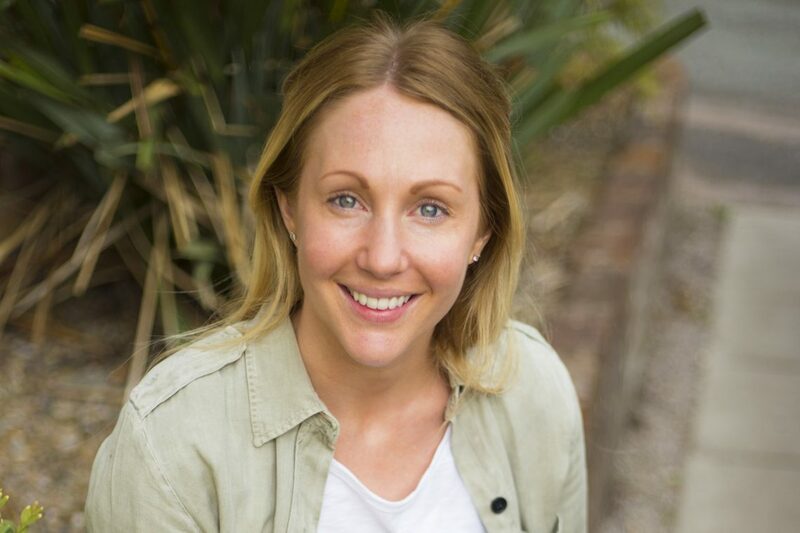 After your free initial consultation, you will be given a personalised treatment plan that will outline how long you can expect to wear your braces. If you’re interested in this treatment, get in touch with our team using the enquiry form below, or give us a call to book your free initial consultation. As you can see in the case above, the braces are incredibly discreet, so no one ever needs to know that you are undergoing an orthodontic treatment. What does it feel like wearing lingual braces? Unlike traditional braces, which sit on the front of your teeth, lingual braces sit behind your teeth, which is why many people have questions about how this feels. You may find speaking is a little strange in the first few days, but the majority of patients report that this goes away once they have adjusted to the change. Like any orthodontic treatment, the surfaces of your teeth may feel sensitive in the days following having your hidden braces fitted. Most patients will eat soft food for the first few days while they get used to their braces. How do I care for my lingual braces? 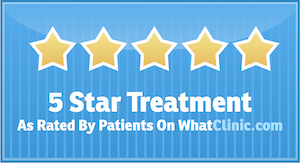 Maintaining good oral health throughout your orthodontic treatment is very important. Your braces will give food fragments, bacteria and plaque more places to hide so it’s important to make sure you brush your teeth after every meal or rinse with a fluoride mouthwash if you can’t brush your teeth. A water flosser can help to keep your teeth hygienically clean between visits to the dental hygienist. There are only a few dental practices in the UK that offer lingual braces. Badri Chari BDS, MFDS, MDS, MOrth, PhD is a Specialist Orthodontist with many years experience of treating patients with Lingual braces. 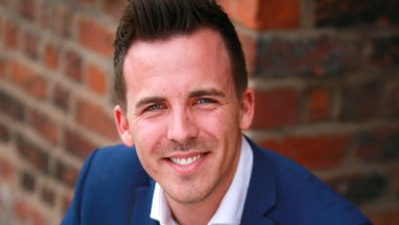 We offer a free initial consultation so you can find out if lingual braces are right for you. 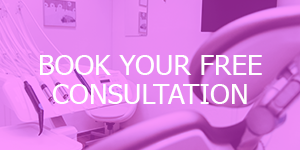 We can also advise on other orthodontic treatments which might be more suitable, so please get in touch today! To find out whether your smile can be straightened by lingual braces, please call 01925 756565 to arrange your initial free consultation. 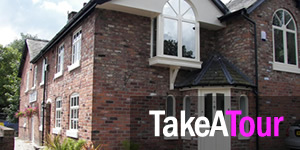 We can also discuss the low-cost treatment plans that are available and can start from as little as £150 per month.